high cost of treatment. Studies done in Nairobi have shown that 53% of all hospital admissions were due to Non Communicable Diseases. Current projections show that by 2030, NCDs will overtake communicable diseases as the leading cause of death in the low and middle income countries alike. This is because an aging population and lifestyle changes linked with economic development increase the risk factors for NCDs such as heart disease, cancer, chronic obstructive pulmonary disease and diabetes. 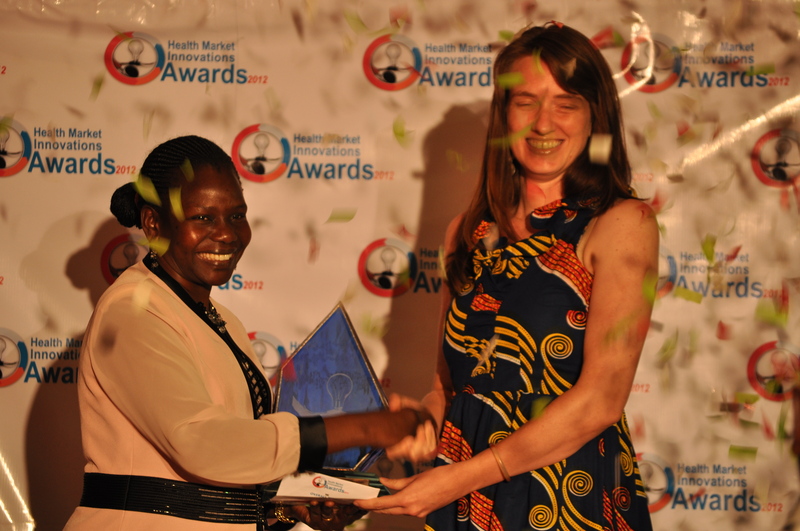 These came up during the Center for Health Market Innovations’ healthcare forum, convened by the Institute of Health Policy Management and Research (IHPMR) in collaboration with the Kenya Health Care Federation (KHF). 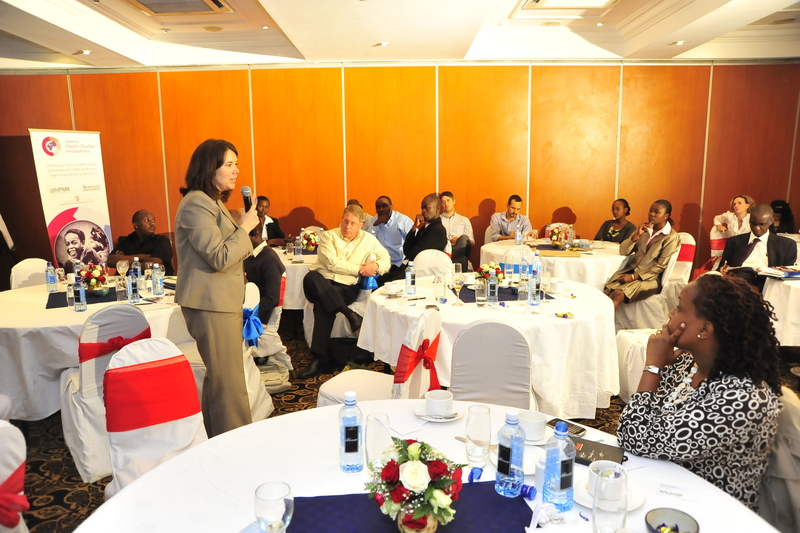 The forum, held on September 21st 2012 at the Sarova Panafric Hotel in Nairobi, aimed at identifying health market innovations to combat the rising cases of NCDs in Kenya, through engaging with stakeholders on pertinent issues. Sixty five participants attended the session that included speaker presentations and a panel that engaged with the audience during a question and answer session. Panelists at the forum included Dr. Waihenya Mwangi, the Head of Non Communicable Diseases Division at the Ministry of Public Health and Sanitation (MOPHS), Mrs Eva Muchemi, the Executive Director of the Kenya Diabetes Management and Information Centre (DMI), and Dr. Ruchika Kohli, a clinical pathologist from Lancet Kenya. 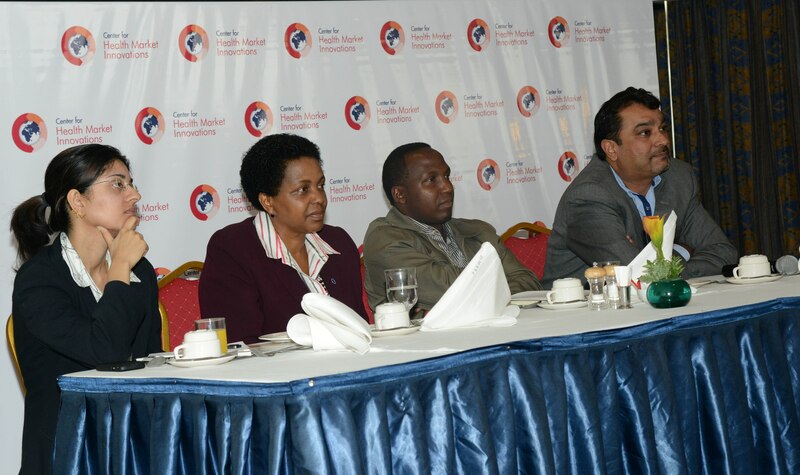 Dr. Amit Thakker, Chief Executive Officer of the Kenya Healthcare Federation moderated the panel. The Executive Director of IHPMR, Dr. Maureen Nafula kicked off the forum by outlining the role of the Center for Health Market Innovations (CHMI) and its innovative initiatives that have been designed to address one or more segments of the NCD continuum of care. She highlighted CHMI’s operation in the East Africa region covering Kenya, Uganda, Rwanda and Tanzania and emphasized on the need to focus on health market innovations that are NCDs oriented at this point in time. Mrs. Eva Muchemi noted that prevention is the best option for the high cost of NCDs in Kenya. She pointed out behavioral change mechanisms like creating NCDs awareness through community participatory approaches like empowering health workers through training, community screening to allow early detection of NCDs, creating linkages with corporate organizations and the promotion of healthy nutritional lifestyle. Dr. Ruchika informed the participants on the laboratory’s role in combating NCDs through research on prevention implementations. She pointed out the labs role of screening, diagnosis and measuring treatment response of Non Communicable diseases. Dr. Waihenya highlighted the cost effective measures implemented by the government to combat NCDs in Kenya. He noted the government’s efforts to encourage research on NCDs that will provide data to support evidence based policy making process and prioritization of NCDs pertinent issues. Other measures by the government include: the development of NCD indicators to help in disease surveillance systems, improvement of diagnostic and screening services, and the identification of prevalence of risk factors. It was evident that a number of pro-poor health market innovations are indeed tackling NCDs care in Kenya, for instance through provision of cheap insulin at public health facilities. However the major concern is on how the communities can ensure that these efforts are plugged into a wider support system, that aids the acquisition of low-cost quality drugs, encourages compliance with established operational and quality standards. Participants at the forum were in agreement that embracing public private partnerships (PPPs) among healthcare stakeholders, sharing available research findings on NCDs, continued advocacy, forming communities of practice for NCDs that focus on measuring risk factors, morbidity and mortality rates, as well as a multi-sectoral support and assistance from the international community, increased internal capacity and prioritization of NCDs issues were critical for Kenya to meet the increasing burden of NCDs among its citizens. The main objective of the healthcare forum is to identify innovative approaches that can be used to make Non Communicable Diseases’ care accessible and affordable to the poor. Dr. Patrick Waihenya, Head, Division of NCDs- Ministry of Public Health and Sanitation, Mrs. Eva Muchemi- Executive Director of the Kenya Diabetes Management and Information centre, Musalia Mwenesi-General Manager at Lancet will be among the key speakers. Kindly join us on Friday to discuss and engage with key stakeholders on the emergence of NCDs as a major public health concern. 90 percent of Germany’s 80 million citizens are insured by statutory sick funds, with comprehensive health basket for patients. This presents a stark comparison to Kenya, which has only 10 percent of its 40 million citizens having some form of health insurance. 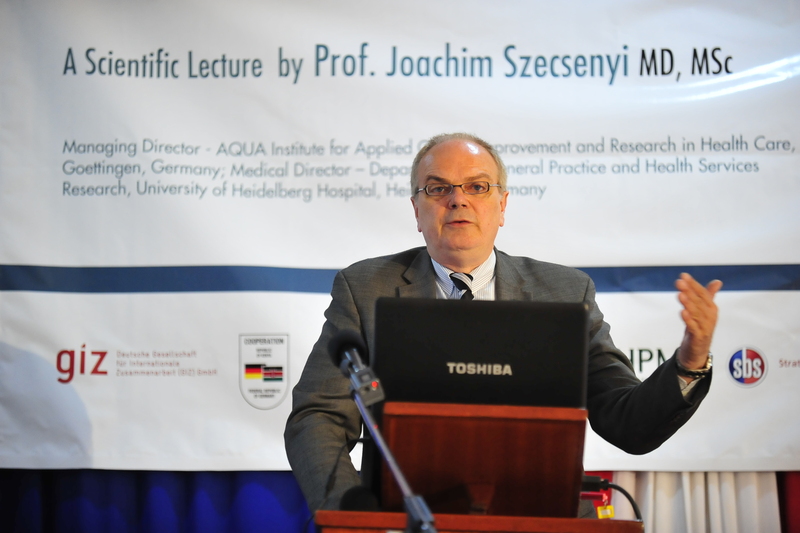 This came up during a scientific lecture presented by Professor Joachim Szecsenyi, a quality management expert from the University of Heidelberg Hospital in Heidelberg; and also the managing director of the AQUA Institute for applied quality improvement and research in healthcare, Goettingen, Germany. The talk, titled ‘Harnessing North-South Partnerships to Improve Quality Healthcare’ was held at the Strathmore Business School auditorium and attracted various participants in the health sector. These included medical professionals, researchers, policy makers, development partners and medical students. 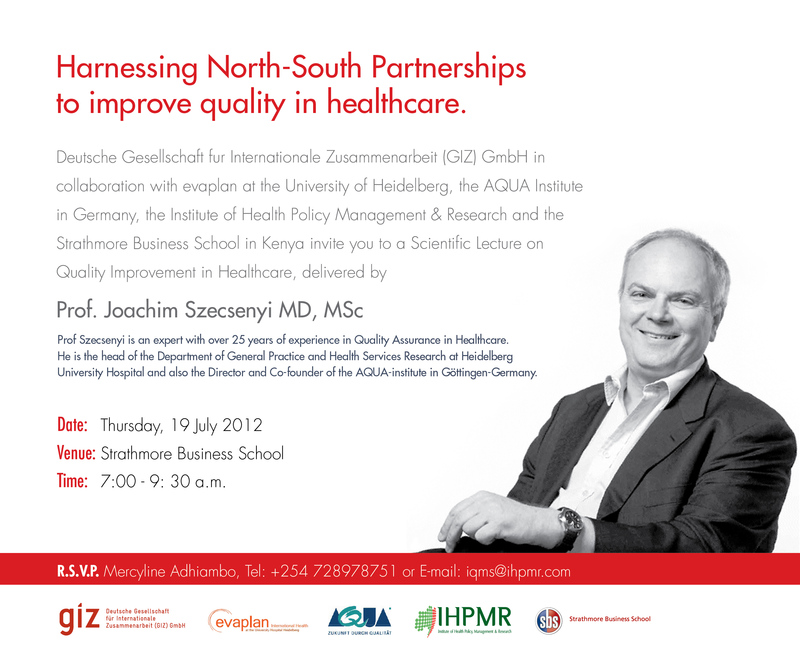 The South has much to borrow from the German system that has implemented strategies of improving quality in healthcare through disease management programs, peer reviews, hospital benchmarking,evidence based approach, accreditation and quality management in hospitals and ambulatory care.This can only be achieved through sharing of experiences, ideas and technology from the North and South to bridge the existing gaps in the Kenyan health sector. Of particular importance are the in-patient management systems. For instance, 84 % of Kenyans who report an illness seek care in an outpatient setting, while the outpatient healthcare expenditure accountsfor 39% of the health expenditure compared to 22 % for inpatient care. In order to harness these gaps in quality management, an indicator-based Integrated Quality Management System (IQMS), developed by GIZ Health sector as part of its Reproductive Health (RH) component is being implemented by a consortium comprising evaplan GmbH consulting group in International Health at the University of Heidelberg, Germany; the AQUA Institute, Göttingen Germany and the Institute of Health Policy Management and Research in Nairobi. It is based on a tool known as the ‘European Practice Assessment (EPA)’ and grounded in the Kenya Quality Model for Heath (KQMH). IQMS will be both paper-based and IT-Based, borrowing heavily from that used by EPA, called VISOTOOl®. The unique focus of IQMS is on the interface between outpatient and inpatient care. The development and implementation is set out to run for a period of two years. The panel of experts which met earlier last week at a workshop registered 350 indicators. Another workshop to be held later this year will use a standardized method to evaluate and validate these indicators to arrive at a final set.These will then be tested in 3 facilities and then rolled out in a larger group of another 17 facilities in 2013. The expert panel has a multidisciplinary approach, with representatives from the Department of Standards, Research &Regulation, Department of Primary Health Services, Division of Reproductive Health, Division of Health Management Information Systems, obstetrics and gynaecology specialist, nurses/midwives, health facility in-charges and hospital managers. 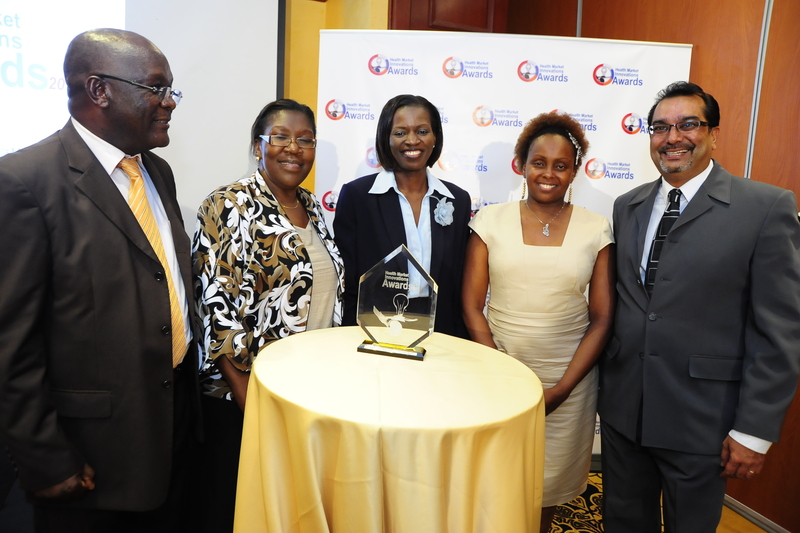 The launch of the Health Innovations Awards (HIA) in Kenya was held on the 29th March at the Fairmont Norfolk Hotel. 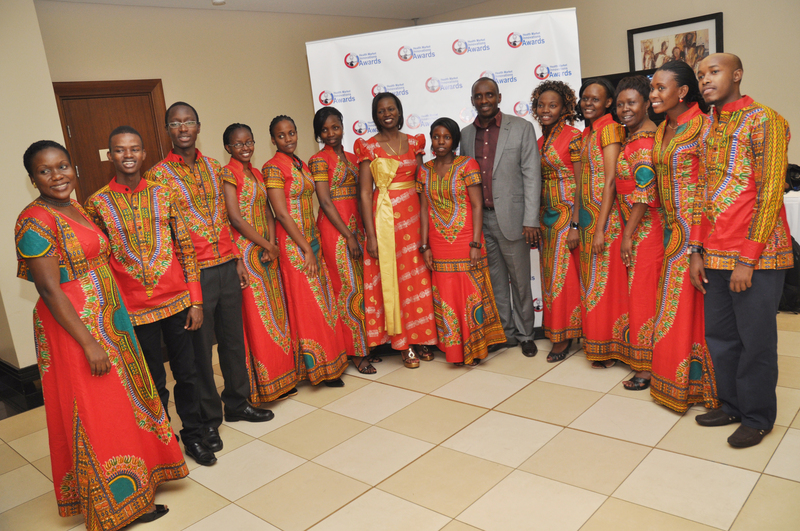 This boosted the general HIA planning and organization process, geared towards the actual event (CHMI Gala Dinner) on May 2nd at the Sheraton Hotel in Kampala, Uganda. The launch had over 50 participants including: Officials from the Ministry of Health Government of Kenya, Program Implementers, Donors, Researchers and members of the Kenya Healthcare Federation (KHF). The Media fraternity played a major role in promoting HIA event publicity, as clips of the launch were featured in News Bulletin of the day by some media houses. The keynote address was delivered by Dr. Lilian Kocholla, Director of Public Private Partnerships in the Ministry of Medical Services. She represented the Honorable Minister for Medical Services, Prof. Anyang Nyong’o, who was on official duty in Arusha -Tanzania. In her speech, she pledged commitment of the Government to the initiative and endorsed the move to have the Health Innovation Awards, terming it as an innovative step in itself. Efforts made by private sector stakeholders in trying to make quality healthcare accessible and affordable to the vulnerable were applauded. In her presentation, Dr. Maureen Nafula, the Executive Director of the Institute of Health Policy Management and Research (IHPMR), described in depth the HIA process and requirements. This served as a motivation to program implementers present to be involved in the process. 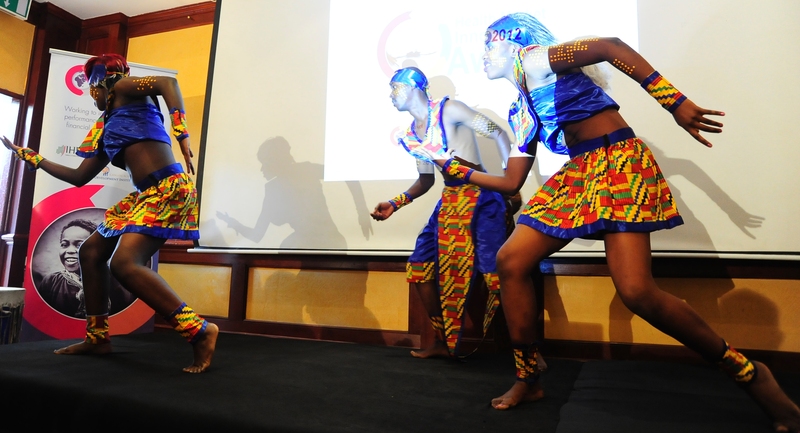 Entertainment from the Sarakasi dancers who had choreographed the HIA unveiling process brought the event to a colourful climax. More interest was generated from the audience, who at the end of the launch made inquiries on how they could be part of the process. Have you ever won an award? Share with us the difference it made to you if any. Do certain awards have more value than others? If you’ve never won a prize how do you feel? Let us know your opinions. One bold idea. That’s all it takes.Unorthodox thinking is essential to overcoming the most persistent challenges in global health. Vaccines were first developed over 200 years ago because revolutionary thinkers took an entirely new approach to preventing disease. Grand Challenges Explorations fosters innovation in global health research. The Bill & Melinda Gates Foundation has committed $100 million to encourage scientists worldwide to expand the pipeline of ideas to fight our greatest health challenges. Launched in 2008, Grand Challenge Explorations grants have already been awarded to 602 researchers from 44 countries. Centre for Health Market Innovations (CHMI) Coming to Rwanda! 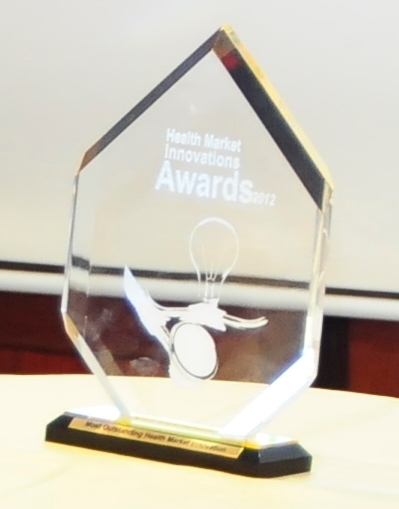 And now, it is Rwanda’s turn to benefit from the launch of Centre for Health Market Innovations on March 20th 2012 at Hotel Des Mille Collines. The theme of this event is ‘Working to improve health market performance for better health and financial protection for the poor’. The Guest Speaker will be Dr. Ngirabega Jean de Dieu, Director General of Clinical Services in the Ministry of Health. The launch will be a breakthrough for Rwandan health program implementers as it will be an opportunity to network with the rest of the world in order to get publicity for the existing health markets in Rwanda. It will be hosted by the Institute of Health Policy Management and Research (IHPMR) by virtue of IHPMR being the East Africa’s analytical partner for the Centre for Health Market Innovations (CHMI). CHMI is a global network of partners that collects, analyzes and disseminates information about health market innovations in developing countries and facilitates the exchange of information and creation of strategic linkages among key stakeholders.